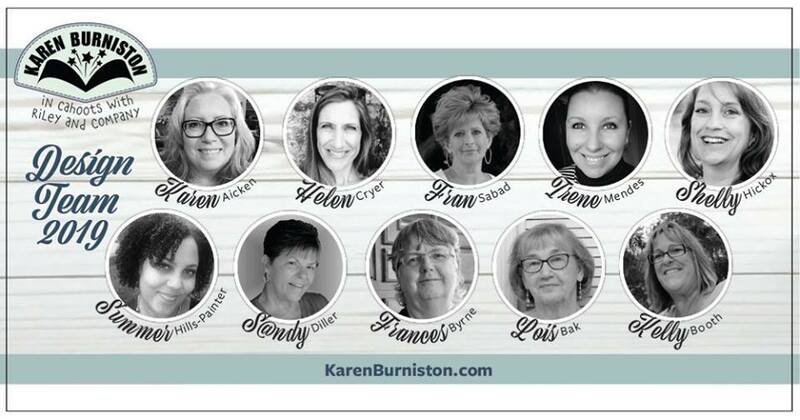 StampOwl's Studio: Happy Happy Birthday to You! 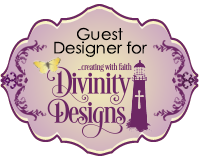 It's challenge time with my friends over on the CCEE Stampers challenge blog. Maryann Einam our challenge hostess for the month continues to issue the challenges. According to the days of the year calendar, today is International Rock Day! So for our challenge this week Maryann has asked us to use the colors of stone (greys, browns, black, white end) on our cards. When I was looking for patterned papers for another project I needed to create, I came across some papers that were the colors of stone, so I decided to pull them out just in case they would work for what I wanted to do for this challenge (which at that point I had no idea what that would be). I went to sit at my desk to start on the other project and I see an elephant stamp set and those papers sitting there! Elephants are grey ... and I had grey polka dotted paper in the pile so I knew what I would be doing! 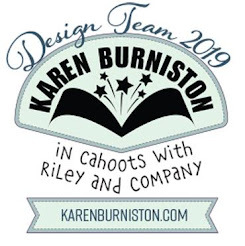 To create my card I used Karen Burniston's new Charm Accordion die set ... this can be used by die cutting once or multiple times. I decided to die cut it twice and join using the hinges supplied in the set. To decorate my card I used the MFT Stamps Adorable Elephants stamp set. 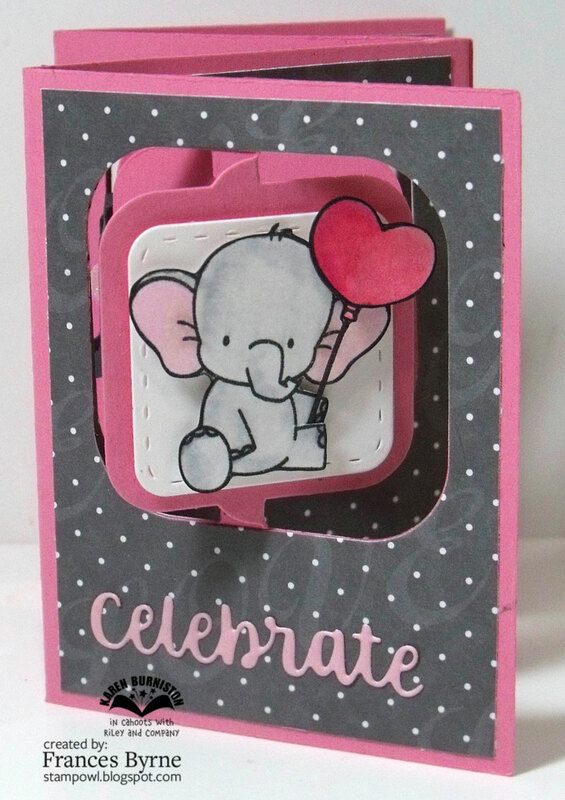 When my sister sees this card on Facebook, she will think it is for her birthday as that is coming up in a few days time and she loves elephants ... but I have other plans for her birthday card haha! Along the bottom of the card I used the Word Sentiments 2 - Birthday die set from Karen Burniston's new collection to say "Happy Happy Birthday to you!" I used the heart charms that come in the Charm Accordion die set, which I glittered to hand in the small squares. Cute, cute, cute! I love the pink and gray together! A great color combo for this little elephant. Your card is full of birthday fun! Fun-fold lover that I am, I always look forward to your creative cards. Your elephant is adorable -- great use of the stone colors! This is SO cute - SO SO cute. Haha, you have us trained because I thought that card would be for your sister too! 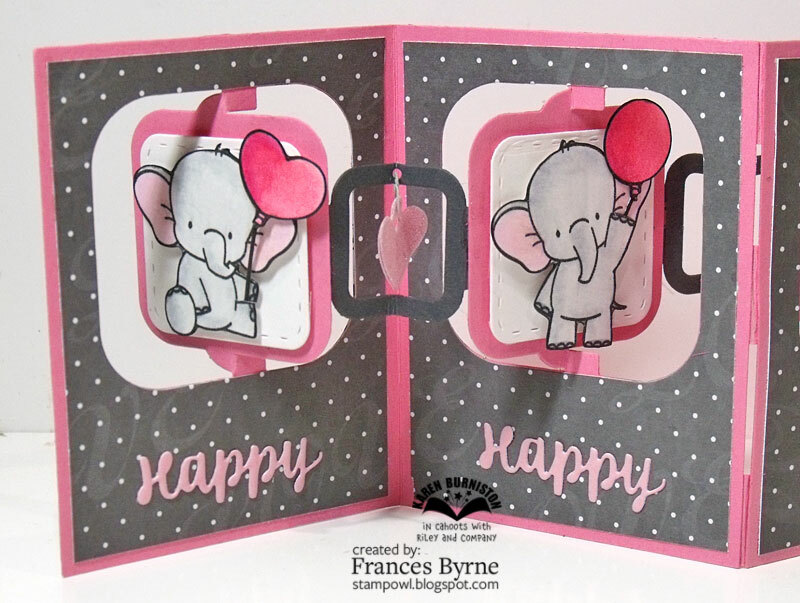 How dang cute....love your fold and those adorable little elephants! Oh this is a gem! So whimsical and creative. Wonderful take on the challenge :) not much cuter than elephants!! These precious birthday elephants are too cute for words!! 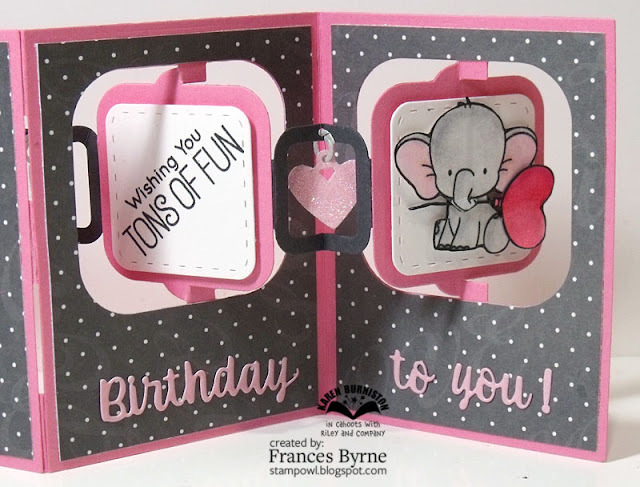 Fabulous work, Frances! !